Mechanical and Electrical design to a LEED Gold standard and including contract administration and support during commissioning. 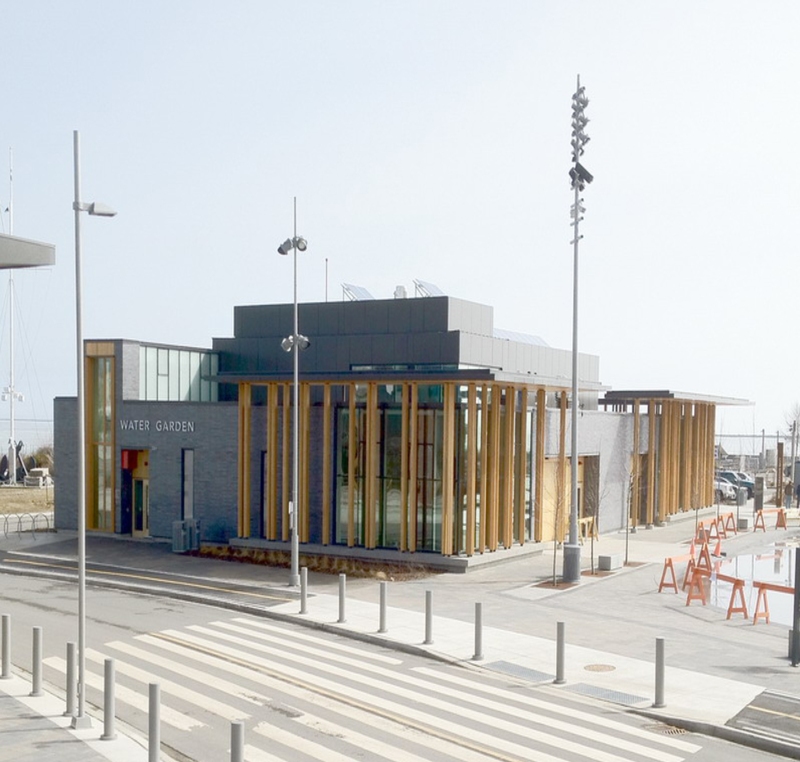 Profor provided Mechanical and Electrical detailed engineering design and contract administration services for the new Water Garden Pavilion which forms part of the Marina Waterfront development project. Profors designs were developed to meet a LEED Gold certification level. Innovative technologies and green energy initiatives such as a roof mounted 10 kW grid tied Photovoltaic system will result in significant long term energy savings over the life of the facility.